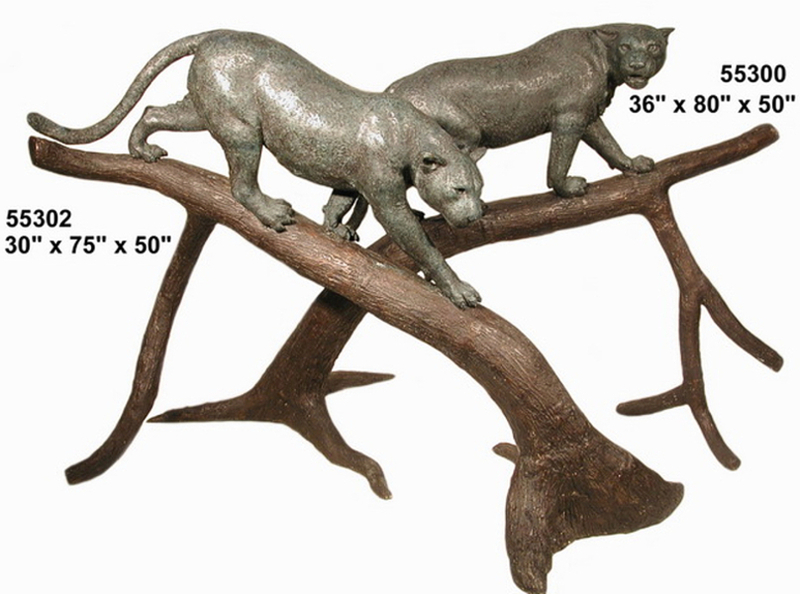 Bronze Cougar Statue. A terrific school mascot and a great addition for a zoo, safari park or any facility that wishes to make a statement. Fabricated in the lost wax method and a true work of art. An amazing conversation piece and makes a great photo-op. Can be used indoors or outdoors because this rugged, resilient statue is impervious to the weather. Typical maintenance is washing it with soap and water periodically. We provide free mounting tabs and instructions that make the installation quick and easy. Check out our references at https://bronze-depot.com/references/ and see the numerous colleges and high schools that have trusted us with their bronze Cougar mascot statue. You won’t find this statue for less anywhere. To order call Maria at 321 804 4642.